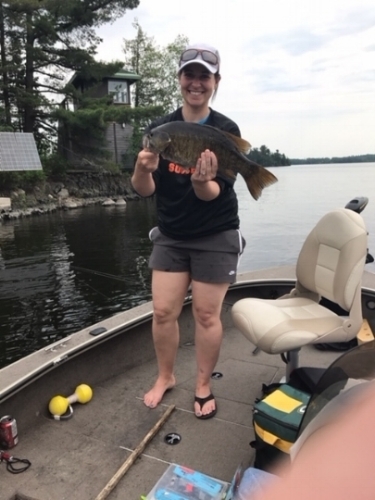 Dave put us all to shame... "Darn, I guess I've got another one..."
Jaimie with her 18.5 Smallmouth! Fun to catch!!!!! Phil's 17" (with proud grandfather, Pat).